Know the ultimate junk food lover? 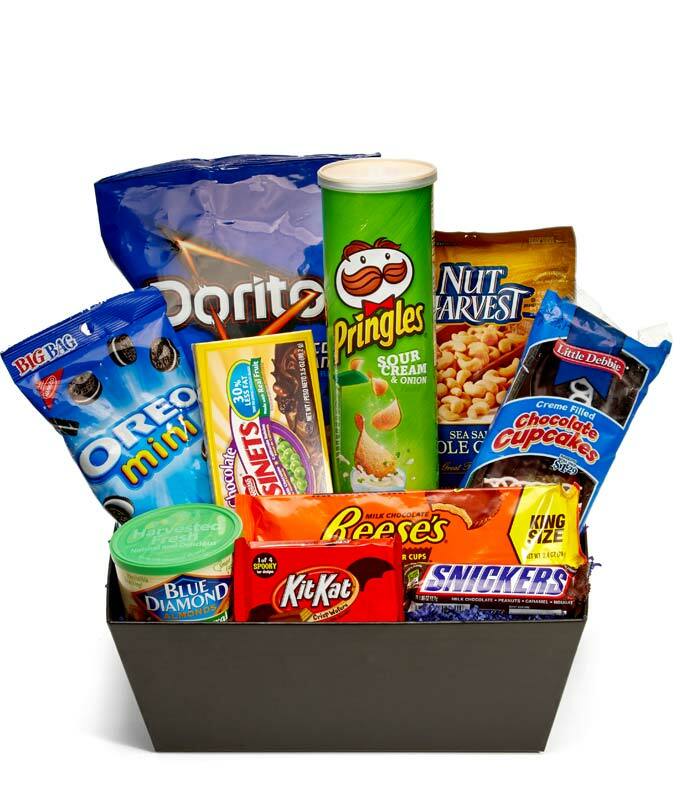 Send them the Ultimate Junk Food Basket and watch a huge smile come across their face! This basket, filled to the brim with America's most famous and favorite snacks, makes the perfect congratulations, birthday, thank you, and just because gift. The ultimate guilty pleasure basket! Please note: contents may vary.